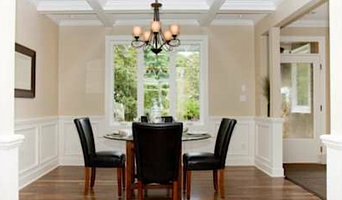 C&R Custom Amish Cabinetry is a family owned company that was established in 1999. We serve the Chicagoland Area and our home office is located in the Western Suburbs. We work exclusively with an Amish cabinet maker located in Central Illinois. Building high quality cabinetry is their goal and their passion. Our cabinets are hand made by skilled craftsmen who pay strict attention to detail. We use only solid wood frames, drawer fronts and doors. The cabinet boxes are made of plywood, we do not use particle board. All Drawer boxes are dovetailed and made with 5/8" maple wood. All cabinets come standard with soft close doors and full extension soft close under mount drawer glides. We offer a large variety of wood species with many different door styles and finish options. We take great pride in our customer service and are committed to making your project experience a pleasant one. 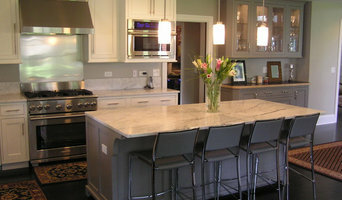 Chicagoland's Expert Kitchen & Bath Design Studio- 2x Best of Houzz! 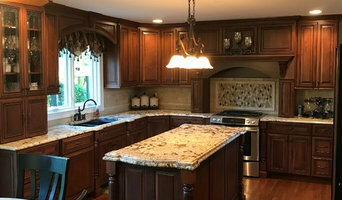 Woodhill Cabinetry & Design, Inc. is a custom cabinet manufacturer founded by the Sweeney family which has been serving the area for over 40 years. Space planning and quality workmanship have generated client referrals which is the key to our success. Kitchens that become the Heart of Your Home is our specialty. Our custom capabilities allow us to offer a vast selection of cabinetry styles from European Frameless to inset doors with cupboard latches. If you appreciate attention to detail, contact Woodhill Cabinetry & Design to take that first step towards your beautiful new kitchen, or cabinetry for other areas of your home. As your local Organizational Specialists, Tailored Living featuring PremierGarage is dedicated to bringing Chicago's Western Suburbs and the surrounding areas outstanding service and personalized organization solutions to fit your home and lifestyle. Let us help you find the best storage solutions for your home and garage. Call now for your in-home consultation. We look forward to meeting you! Brakur specializes in custom kitchen and bath cabinets, bookcases, bars and entertainment centers. Brakur can transform any room in your home with the finest design and craftsmanship. Brakur can also provide an unmatched array of countertops including wood, laminate, quartz, granite and solid surface. Now in its second generation as a family owned and operated company, Brakur realizes that integrity, quality, service, reliability are all traits of a successful organization. At Brakur we preserve these characteristics. We do not take for granted the efforts of all employees to make Brakur the highest quality cabinet at a very competitive price. We remain as focused today, as in years passed, to bring your dream to life. 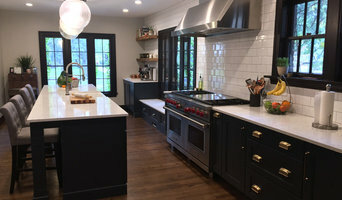 We continually strive to meet our client's needs by researching the latest trends in the kitchen industry, to make sure, you, our client, experiences first hand, the finest cabinetry available, the Brakur way. I started woodworking professionally while studying architecture in the mid-80's. That makes it more than 30 years (!) since I fell in love with the craft, and I have been designing and building ever since. I started Daedal Woodworking in 2008, and I am fully involved with each project from start to finish: design, engineering, fabrication, finishing, and installation. I delight in close collaboration with my clients to arrive at creative solutions, which are smartly engineered and expertly fabricated. Give me a call, or send me a note at pauljkenworthy@gmail.com. I'm always happy to come out and chat about your project. 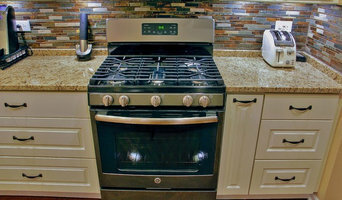 In addition, Aurora, IL cabinetry pros can help you give worn or dated cabinets a makeover. They can replace doors; add glass inserts, decorative moldings and other details; or give cabinetry a new coat of paint or specialty finish. Your cabinetry professional might work closely with an Illinois kitchen designer, builder, remodeling contractor or interior designer. Here are some related professionals and vendors to complement the work of cabinets & cabinetry: Kitchen & Bath Designers, Kitchen & Bath Remodelers, Interior Designers & Decorators, Closet Designers and Professional Organizers, Woodworkers & Carpenters. Find a cabinetry professional on Houzz. Narrow your search in the Professionals section of the website to Aurora, IL cabinets and cabinetry. You may also look through Illinois photos to find examples of cabinets that you like, then contact the cabinetry professional who worked on them.